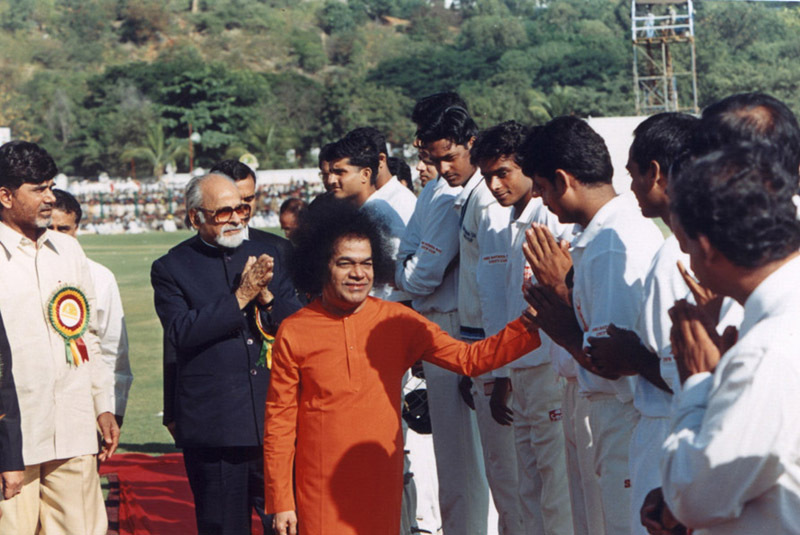 Bhagawan Sri Sathya Sai Baba says 'His Life is His Message'. This blog is a compilation of theme based audio extracts from Bhagawan’s Discourses over various time periods. The intended purpose is to help us reflect on His Message in His own Voice so that our lives may become His Message. The blog may be used for Self-reflection and also in forums like study circles, workshops, etc. The Discourses are accessed from www.radiosai.org, the official website of Radio Sai, to whom we owe our gratitude. The audio clips for all postings in this blog have been embedded using a html5 plugin code player. This player will work with latest versions of all browzers - IE-9 upwards, Firefox-20 upwards, etc. If it does not work with your browzer, please upgrade your browzer. At times, the player may not work if the download capacity of 1 GB per day is exceeded. In such cases, please try the player again the next day. Bhagawan has spoken extensively about the role of sense organs and their control in a human being’s spiritual journey. However, among all sense organs, Bhagawan has stressed the most on the control of the tongue. It is not without reason that the tongue has been extolled so highly by Bhagawan. He says that the tongue is unique among all sense organs as it is the only sense organ that has been bestowed with two important roles. One is talking and the other is tasting. Control the tongue and you can succeed in controlling all other sense organs, says Bhagawan. Taming the senses and making them subservient to our command is a prerequisite for the spiritual journey of man. Unless the senses are drawn inwards and weaned away from the temptations of the external sensory objects, the mind cannot be directed inwards towards the Self. And unless the mind cannot be turned inwards, man cannot begin his spiritual journey. Therefore, one can understand in this context, the reason behind Bhagawan’s explicit focus on the tongue and its management. 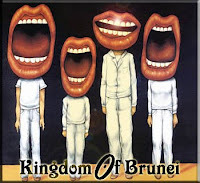 For the purpose of easy reading and comprehension, the posting is presented in four parts, viz Glory of the Tongue (5 clips + 1 extract), Misuse of the Tongue (5 clips), Teachings of the Tongue (3 extracts) and Control of the Tongue (6 clips + 5 extracts). The verse by the poet Jayadeva that describes the glory of the tongue and appeals to the tongue to sing the name of the Lord, has been sung by Bhagawan any number of times. It gets repeated in many of the clips. It only goes to show how Divinely inspired Jayadeva must have been to bring forth this verse to the world. This part of the posting focuses on the control of the tongue. The 6 audio clips and 5 extracts (without audio) for this part have been taken from the Discourses delivered by Bhagawan in the years 1969, 1988, 1990, 1994, 1996, 2011. Control of the Tongue: In Clip-1 Bhagawan advises us to keep the tongue under check. Clip-2 declares that if we can control our tongue, we would be able to control the whole world. Extract-3 elaborates on the unique feature of closing devices provided only for the eye and the tongue. Extract-4 talks about the three types of silence to be practiced by seekers. Extract-5 advises us to use our discrimination in what we choose to eat and speak. Clip-6 describes the proper method of talking and conversing with others. Extract-7 talks about how to use the tongue for the good of others and our own selves. In Clip-8 Bhagawan again reminds us not to misuse the tongue. 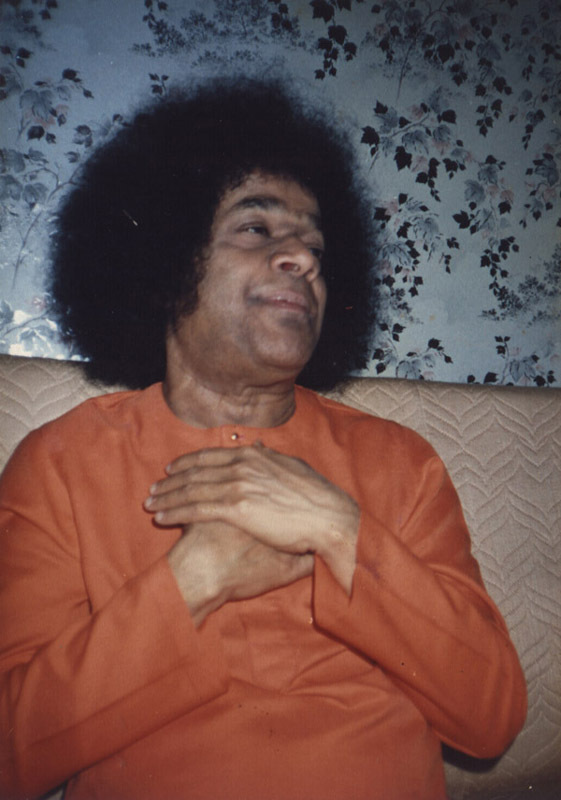 In Clip-09 Bhagawan focuses on the need and importance of singing Bhajans. Extract-10 explains how God can be bound by the devotee through singing Bhajans. Finally, in Clip-11 Bhagawan narrates the wonderful content of the letter written to Philip Sydney by his father, stressing on the need to control the tongue. You may also wish to read the following three posts relating to the tongue and the power of speech posted earlier. Each audio clip has a name that adopts the following code: Serial number, Title appropriate to the key content, Duration of the clip, Year-Month-Date of the Clip. Below the title is the translation in English of the select excerpt of the Discourse, followed by the audio player. The post ends with a short quiz that would help you evaluate your assimilation of Bhagawan's Message from these extracts. Note: Those receiving this blog by email may see words bunched together due to a technical glitch. That is beyond my control. Please click on link at the top of the email to read the blog directly. Sorry about this. If anyone has a solution to this please help me out. The tongue has 3 lakh taste buds. Overcome by taste, getting addicted to different types of tastes, eating all these tasty items, experiencing the happiness thus, we are losing the power of the tongue. Not just eating tasty food items; we also use the tongue to utter unpleasant words. We cause pain to others’ hearts. We wound others’ hearts by using harsh words. Therefore, on account of the tongue, our life span reduces further. In the same manner, every sense organ loses its power on account of excessive use, and in turn we lose our very life. Thus, first of all, we must make an effort to control our looks and our taste. A new and novel strength emerges within us when we control these two. The power of penance may not grow on account of other penance you do, but it will definitely increase through control of looks, taste and speech. We are often mistaken and we use (all types of) words thinking that they are after all small words. Therefore, we do not have proper taste. O tongue, O tongue full of taste, O all powerful tongue, O tongue – the knower of taste, you must speak in all awareness. You are unable to recognize what words cause pain to others. The other person is not truly other. It is you who exist in him also. The physical bodies may be different, but the Atma in both is one and the same. The one who causes pain and the one who suffers pain is the same individual. Therefore, we must not talk in a manner that hurts the other person. That is why Bhagawan often tells us “talk less”? But we take this advice very casually. You do not know, how much in the future, the impact of this will affect you. 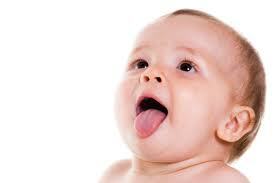 Among all sense organs, the most important one is the tongue. If we can control just the tongue, all other sense organs will easily come under our control. The Kathopanishad compares the senses to a horse. If we take the horse as an example, we will be able to understand the relationship, the bond and the commonalities between the tongue and the horse. There may be a very good, strong horse that runs very fast. Though the horse may run very fast, when a small metal piece is placed inside its mouth and is bound to the reins and when the reins are tightened, the entire body of the horse comes under our control. How does this small piece of metal control such a strong horse that runs so fast? For the horse, the mouth is very important. When the mouth is controlled the whole horse is under control. Therefore, for the horse of the five sense organs, the mouth is the most important. With a small compass, even when there is a fierce storm, we can protect the ship. We can develop a raging fire with just a small spark of fire. Thus, the word is like a spark of fire. We can make an attempt to control and use this spark in many different ways. Therefore, if we can just control our word, it would amount to controlling the entire world. Among the senses, two are most important: the eyes and the tongue. Because of their exceptional importance, the Lord has provided them with the means of restraining their activities. The Lord points out: “You silly man! Take note that I have provided natural means for closing the eyes and the mouth.” If you do not want to see anything undesirable, you can close your eyes with the eyelids. The ears and the nose have no such devices for closing them. The mouth has lips which can seal the tongue. Observe, therefore, restraint in speech and control the tongue. Control your eyes. When you control your eyes and tongue, you can easily control all other senses. When the eyes roam freely, the tongue begins to wag without restraint. When the tongue is engaged in endless talking, the eyes want to look at every conceivable thing. When both these organs combine without restraint, life can become a calamity. Therefore, direct your eyes on good things alone. Students should realize that only when they have control over what they see, what they hear and what they speak will they be able to live happy and meaningful lives. Observe moderation and sweetness in speech. Do not engage in purposeless and evil talk or in scandalous gossip. The ancients practiced three kinds of silent penance to control speech. The first was Vaak-mounam (silence of the tongue), the second one was Mano-mounam (silence of the mind) and the third was Mahaa-mounam (Supreme Silence). 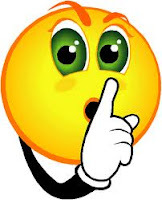 Vaak mounam (Silence in speech) meant confining one's speech to the limit and the needs of the occasion. By this discipline, excessive talk was avoided. As a result, the power of their speech was conserved and enhanced. Discipline in speech also resulted in truthfulness. Truth speaking served to purify their thoughts. By this means they acquired Siddhi (Realization of truth) and Jnaanasiddhi (acquisition of the highest wisdom). Therefore purity in speech is vital. It has to be achieved by restraint in speech. Then, there is Mano-mounam (Silence of the mind). The mind is a bundle of thoughts and fancies. These thoughts have to be reduced gradually. When thoughts are reduced, the mind naturally comes under control, like a clock that is unwound. When the activity of the mind is reduced, the power of the Atma manifests itself. As a consequence Buddhi (intellect) becomes more active than the senses. When control of speech and control of the mind have been achieved, the state of Mahaa-mounam (Supreme Silence) is easily realized. Students should strive to reach the third stage by the disciplines of the first two stages. The tongue can do two jobs, and not one. And both the jobs that God has given to the tongue are big jobs. Just think for some time about the first job - tasting! If a thing tastes bad, you do not like to eat it. Of course, if you are ill, you have to take the drug, even though the tongue says that it tastes bad. So, you should not spit out all things that taste bitter. Some of those things help to cure your illness quickly and well. Remember another fact also; if a thing tastes nice, it may not be good for your health. The tongue tells you that a thing tastes bitter or sweet, or saltish. It cannot tell you whether a thing is good for you or bad. So, you must care not to eat too much and spoil your health. When the body is ill, the mind too becomes weak, and the brain cannot work properly. Now, about the second job that the tongue is given - speech. It is a tool that you can use in order to give vent to your thoughts, your ideas, your feelings, your desires, your prayers, your joys, your sorrows. If you are angry, you use it to speak out harsh words very loudly. If you are pleased, you use it to speak soft words in a low pleasant voice. I want you to use your tongue only for your good and the good of others. If you speak harshly to another, he too talks loud and harsh; angry words cause more angry words. But, if you use soft and sweet words when another is angry towards you, he will calm down, he will be sorry that he used his tongue in that way. Do not shout, do not talk longer than necessary, do not talk when there is no need to talk; when you speak to someone or some group of friends, raise your voice to the pitch that is just right for the listener or listeners and not more. Why should you waste your energy to talk louder and longer than necessary? When you are talking to your friend, your sight should be focused towards the friend only and you should not talk looking this way and that way. The sight should not be dispersed in ten different directions. This can be very dangerous for youth. We must try to keep our vision proper and correct. When you talk to somebody, you keep on moving all the limbs of your body. Some people, when they talk or when they give lectures, it is like a big dance; they move the hands and the legs, and it all takes such an ugly form. We must talk without moving any of our limbs. When we keep on making such effort, gradually, on account of habit, the sense organs will start functioning on the right path. Never use foul words against another. Such words should not rise from your tongue, nor should they enter the ear of the others. Remember that there is God inside your heart, as well as in the hearts of all the rest. He hears and sees all things. Do you not say, “My head, my hands, my eye, my mind, my idea.” Now, who is this “I”, that owns the body, the mind, the brain? That “I” is the spark of God that is in you. That spark is in every one. So, when you use harsh, cruel, angry, foul words against another, the God in you and the God in the other person is hurt. The tongue is a tool, as I said. You can harm yourself and harm others with it. So, be very careful; use it only for your good and for the good of others. If you use it for talking kind words, for repeating the Name of God or singing His Glory, or praying to Him, then it is put to the best use. Time is God. Time waste is life waste. Don’t waste time. Boy and girls of today are wasting their time excessively. They are misusing their time through meaningless gossip. They are not using any good words. They are not giving any scope for good thoughts. What are their games, their songs? When you go and see youth of this age in the outside world, you do not know how troublesome it is. It is only in Prasanthi Nilayam that you are all happily making good use of time through worship, Bhajans and singing the name of Rama, Krishna and Govinda. Once you go out, they do not even know what these songs mean. They sing meaningless songs. What are these songs? No one can ever understand. Chal chal re naujavan, Chod de re mera kaan (o common young man, leave my ears). Is there any meaning in this? There are other humorous songs that are nice to hear. Da-da-da, Da-da-da, Dadda, Dadda. What is this Da-da-da? Che che che che (an expression of disgust), is this why the tongue has been given to us? The tongue has been given four titles – Jihve (tongue), Rasagne (knower of taste), Madhura Priyetvam (the one which speaks sweetly) and Satyam Hitam Tvaam (the one which speaks truth in a comforting way). O sweet tongue, O comforting tongue, O sacred tongue. Why should we use such a scared tongue to speak such unsacred words? These days, we are using the tongue to speak unsacred words. Every student must exercise control over his words. We must engage ourselves in singing Divine songs that bring joy to others, melt the heart of others, intoxicate their minds and make them forget themselves. When you sing any song about God, be it a theist or an atheist, a theistic atheist or an atheistic theist, they start swinging their heads (in joy) without their own knowledge. We must make fulfilling use of our time by remembering, repeating and singing the sweet name of the Lord. Why were Bhajans started? 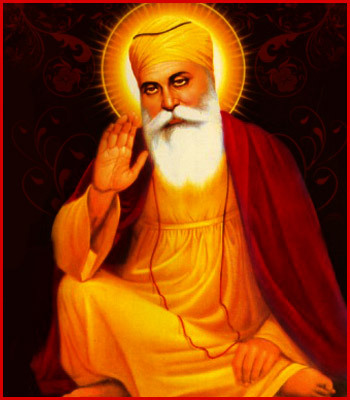 Earlier, it was Guru Nanak who started this concept of collective singing. All voices have to be united, and as one single voice, the Lord has to be attracted (drawn closer). Bhajans have been started to invoke this unity in diversity. It is not one individual who invokes God, all the people singing in chorus are invoking God. Therefore, keeping our ancient culture in mind, at least to some extent, we must make the sacred feelings emerging in every heart as an offering to the Lord. God is the embodiment of Love. Love needs Love only. To see the shining moon, we do not need a torch light, a hurricane lamp or a petromax light. We need to see the moon only with the moonlight from the shining moon. Therefore, it is only through Love that we can see the embodiment of Love. There is no light greater than Love in this world. This light has to be lit on the tongue. Some of you may know how elephants are caught and tamed. In the forests, the elephant is a wild beast, moving in herds and charging anyone who dares to go near. Such a mighty elephant is trapped, roped, and tied to a strong post, so that it cannot run away; it is made so tame that it stands on a small round three-legged stool, in the circus tent; or drags huge logs of timber, at the bidding of the mahout! 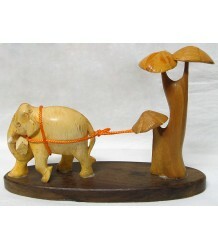 When the elephant is tied to the post, all its strength and skill becomes yours, for you can use them for your own need. The tongue is a post; Bhajan of the Name is the rope; with that rope, you can bring God Almighty near you and tie Him up, so that His Grace becomes yours. God is so kind that He will yield to your prayers and get bound. You have only to call on Him, to be by your side, with you, leading you and guiding you. 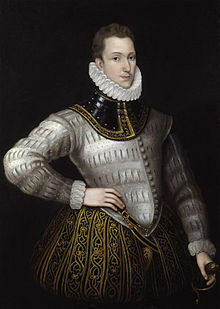 You all know the great philosopher, Philip Sydney (Sir Philip Sidney - 1554 to 1586, was an English poet, courtier and soldier, and is remembered as one of the most prominent figures of the Elizabethan Age. An affectionate letter of advice from his father and mother, written about 1565, was preserved and printed in 1591, A Very Godly Letter...). When he was a young boy, he was studying in a nearby village. His father wrote to him a beautiful letter. “Son, you pray to God whole heartedly every day. Make an attempt to take your mind into the Divine proximity of the Lord. Interact with your co-students and teachers with all humility and obedience. Do not give any scope for anger or disappointment. If anybody criticizes you, do not sink. If others praise you, do not get bloated. 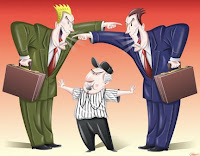 You too should not criticize others”. At the end, he wrote one very important line. “If you need to give a word, you must do so only to God. Never give a word to any ordinary human being. Word is the sound of God. You do not need to give a promise to anybody else other than God. Nor do you have the right to do so. It would amount to misuse of your word. Only when you live thus, your effulgence will manifest and shine. Your discrimination power will develop. You will shape into an ideal student in society. Therefore, keep your tongue under your control. Do not let it free at any point of time”. Having fulfilled the advice given to him, Sydney went on to become a great philosopher. Excessive talk will ruin the minds of students. Students should not enter into any field other than their studies. Vidya Arthetaithi Vidya. You have come here as a seeker of Vidya (education) and not as a seeker of Vishaya (sense objects). After achieving complete mastery over education, you can enter into the world of sense objects. Even then you have to act with moderation. Thus, do not use the tongue for excessive talking. 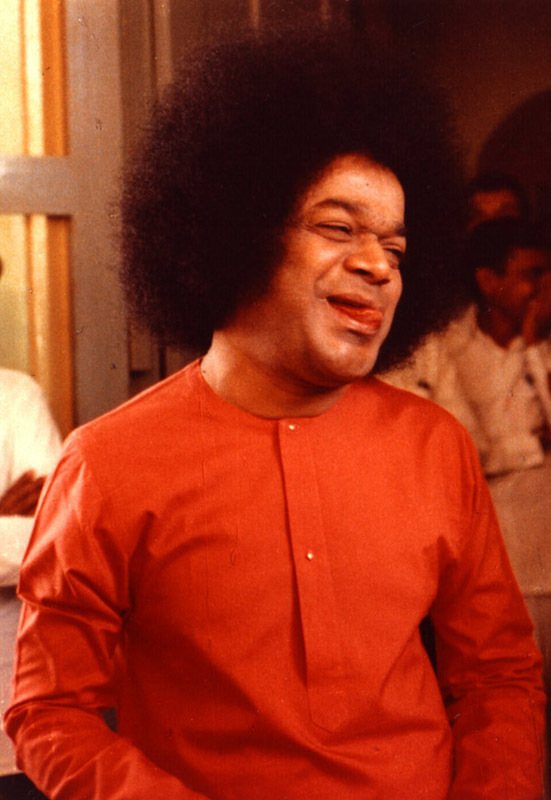 01-How according to Bhagawan, must we keep a check on the use of our tongue? 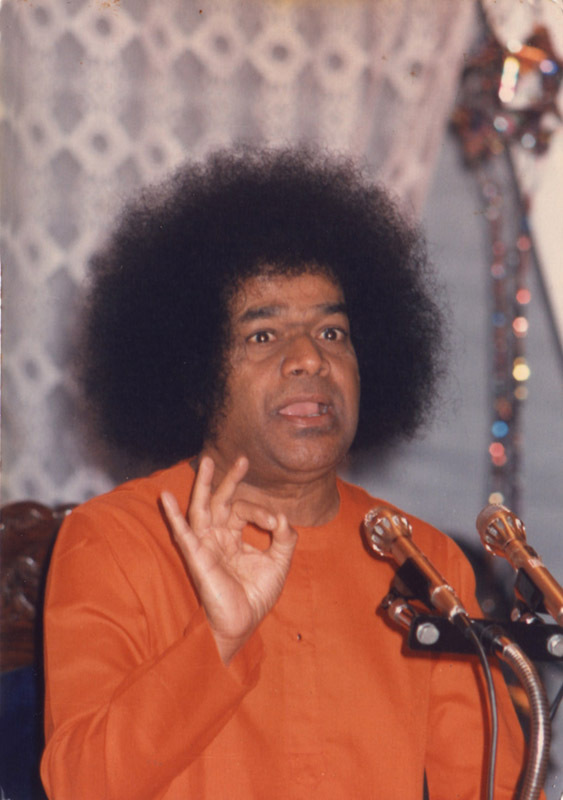 02-How does Bhagawan explain the importance of controlling the tongue through the example of a horse? 03-What does Bhagawan mean when He says that the word is like a spark of fire? 04-What unique feature bestowed specially on the eye and the tongue, does Bhagawan talk about? What is the significance of providing this feature? 05-What are the three types of silence that we need to practice to reach the state of realization? 06-Explain how the power of discrimination is to be used in speaking and eating food. 07-What is the proper method of conversing and talking with others? 08-What is the real duty of the tongue? How does Bhagawan explain the misuse that people subject the tongue to, through singing meaningless songs? 09-Who started the concept of collective singing of the name of the Lord? 10-What is the significance of collective singing of the name of the Lord (Bhajans)? 11-Explain the analogy of the elephant and the post (pillar) given by Bhagawan to explain how a devotee can bind God through singing the name of the Lord. 12-What are the main points covered in the letter written to Philip Sydney by his father? This part of the posting focuses on the teachings of the tongue. The 3 extracts (without audio) for this part have been taken from the Discourse delivered by Bhagawan in the year 1987. Teachings of the Tongue: In Extract-1 Bhagawan explains how the tongue has no desire to wander or roam about. 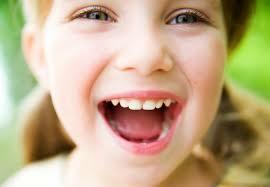 Extract-2 talks about how the tongue smartly avoids dangers and accidents. In Extract-3 Bhagawan describes the selfless quality of the tongue. I shall tell you something more about the tongue. You can learn much by watching the tongue. It stays in its own home and seldom comes out of its doorstep. It keeps quietly indoors; it knows its limits; it has no desire to wander or roam about. This is a lesson you should learn from it. Make yourself busy and useful at home; help your parents and brothers and sisters; do not run out into the street and move place to place, without aim or purpose. Do not rush into the homes of others and disturb them. The tongue never goes into another mouth; it remains inside its own home. It is not proper to leave one's home and waste time, standing or sitting idly, gazing at all those who pass by. You must earn a good name, at home and at school, by your strict mode of life. Do you know of another lesson that the tongue is trying to teach you? Watch your tongue when you are reading aloud or talking to someone. It moves quickly from one side to another, it moves forward and back, in order that the breath can come out as different sounds. And, when you are eating your lunch or dinner, the tongue has to move about pretty quickly. Have you noticed that during all this time, the tongue has to be very careful not to come between the teeth? There are 32 of them, all around the tiny home, with sharp edges like swords, which may cut into the soft thick tongue and wound it, causing it to bleed. Yet, see how skilfully, how cleverly, the tongue moves inside the mouth, escaping the 16 pairs of merciless soldiers that are watching out to wound it! You must also watch all round you, so as to avoid dangers and accidents. Do not fall into bad company, do not be led into bad habits, do not bring a bad name to your parents or your school. We can learn another lesson too, from the tongue. The tongue has no greed; it does not keep anything for itself. It does not store anything secretly, away from others' hand, so that it can have it all for itself. If a thing is good, the tongue sends it down the throat, to the stomach; if a thing is bad, bitter, or rotten, it sends it out, beyond the lips, as vomit! It has no urge to have anything for itself. It serves others; it puts its own needs last. It does not even keep a trace of the things that pass over it, on the way out or in. It may be oil or ghee, cream or jam; the tongue is as clean as before. It has no likes or dislikes; you must also give up greediness. Do not get too fond of anything. Do all your duties well; give full joy to your parents and teachers. Help all as much as you can. But, learn also to keep quiet for some time every day, and be calm when something happens in the way you do not like. 01-What are the three main lessons that Bhagawan drives home through the example of the tongue? 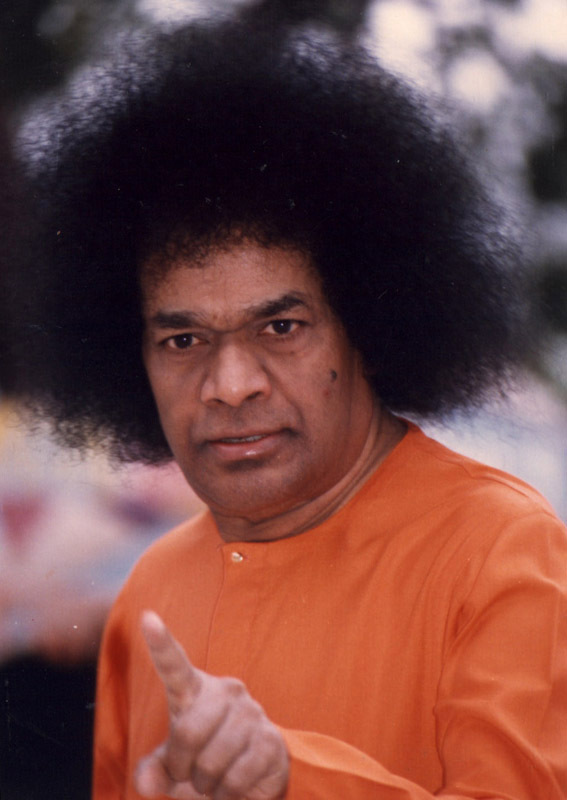 02-How does Bhagawan expect us to follow the message in these lessons in our day to day life? This part of the posting focuses on the misuse of the tongue. The 5 audio clips for this part have been taken from the Discourses delivered by Bhagawan in the years 1989 and 1990. Misuse of the Tongue: In Clip-1 Bhagawan explains about the Chaaturmaasa Vratam, a vow designed by the ancients, and its true purport of exercising control over the tongue. Clip-2 talks about the renunciants and seekers of today and describes their inability to control their senses. 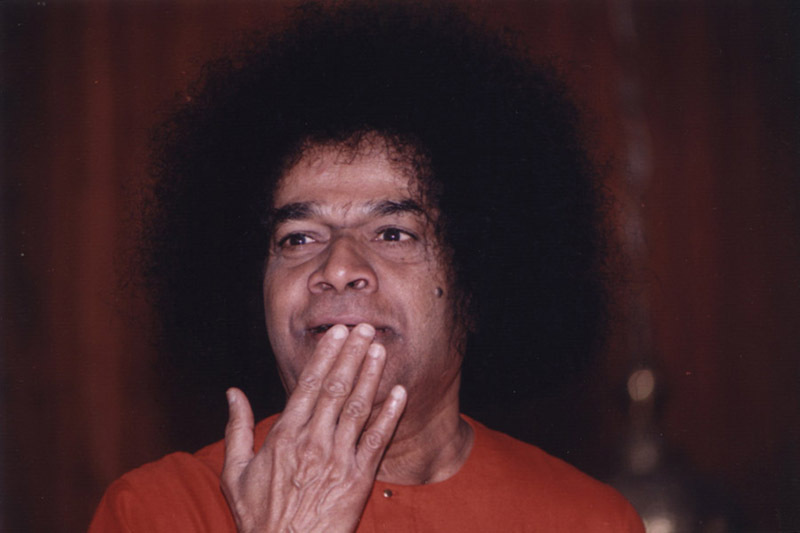 In Clip-3 Bhagawan states the four sins committed by the tongue. Clip-4 advises mankind to exercise moderation in talk and avoid unnecessary gossip. 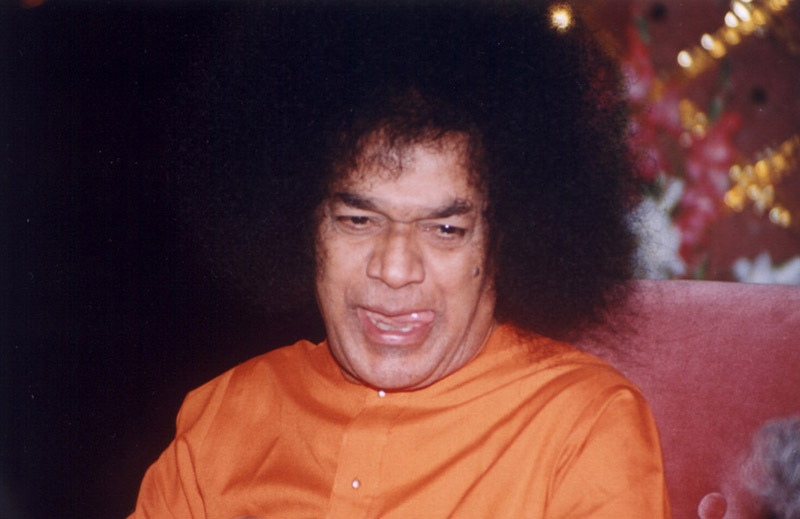 In Clip-5 Bhagawan explains how the tongue is like a double-edged sword. It can be used for blessing and also for cursing. Ancients followed a number of disciplines in order to make proper use of the sense organs. We must not give everything that the tongue asks for. If you keep yielding to everything that the tongue asks for, eventually it will be prepared to swallow you only. Therefore, to exercise restraint on taste, the ancients adopted and followed certain rules and regulations. That has been called the Chaaturmaasa Vratam (the four month vow). The Chaaturmaasa Vratam has originated with the purpose of giving proper training to the tongue for four months, without giving it all that it asks for and thus leading it along the right path. Starting with the Ashada month, the vow is practiced for the subsequent four months. There is another reason for this too. The season during this period is the rainy season. It is very difficult for the renunciants to travel from one place to another place. Because of rain, the rivers may be in full spate, the lakes may overflow the boundaries, thus causing obstruction to their journey. Therefore, Chaaturmasa Vratam was prescribed so that they (renunciants) may stay in one location for these four months, thinking about God, and spending time in a fruitful way. Thus, the renunciants used to go to the forest, build a hermitage there and practice this penance over there. There (in the forest), no tasty food items will be available. All that is available is roots and tubers. Consuming these, they used to spend time fruitfully and were able to exercise control over the taste related tendencies of the tongue. However, unfortunately, in this Kali age, the Chaaturmasa Vratam has become a big show and almost a feast! They (renunciants) want tasty food items everyday. They try to source these food items from the villages. Every day, one devotee must offer such food to them. They enjoy this in the guise of Bhiksha (alms). With change in time, even the sacred feelings are led along the unsacred path. The renunciants of today are unable to recognize the truth that all such vows are initiated basically to exercise restraint over the tendencies of the tongue. How can you attain Divinity if you do not control your senses in this manner? If your house is on fire, you can come out and run far away. If your house is set on fire, you can at least run away to some other region. But if your sense organs themselves are on fire, where will you be able to run away? In today’s situation, the (spiritual) seekers have their own sense organs set on fire. How can one escape from this? If a person develops fever, you can use a thermometer and determine how much fever he/she has. But what if the thermometer itself develops fever? Today, the seekers and renunciants are exciting their own sense organs. The tongue commits four types of sins. One is to speak untruth, second is to complain about others, third is to criticize others and the fourth is excessive talk. It is because of these four (sins) that lack of peace is growing in mankind. Ill health also sets in. Therefore, for mankind – Satyam Vada (speak the truth) and Dharmam Chara (follow righteousness). We must make an attempt to speak the truth only. At certain times, it may be dangerous to speak the truth. At such times, avoid truth and avoid untruth also. Only when you practice such a path, you will be able to promote humanity in society. We must not enter into unnecessary matters. This is the weakness in mankind today. Even a person sitting in some corner who cannot see properly or hear properly; when he comes across two people meeting over there, keeps asking, “what are they talking, what are they talking”? Whatever they may be talking, what is it to you? Why should you enter into this? Some people go around to every other person and keep talking. This is a very bad habit. They keep enquiring into the matters of others, “What did that person say? What did this person say?” Why should he be concerned about all this? Because of this bad habit, the sense organs become the target for more harm. We should not get into matters of anybody else. Mind your own business and confine yourself to your needs. Talking to everybody you come across will make you lose your respect. Nobody will respect you. If anybody sees you coming on the way, they will exclaim, “O here comes the argumentative person”, and they will move aside. Whenever there is a necessity, just confine your speech to “Good morning, Good morning, How are you, How are you”, that is all, nothing more. With speech you can perform a very noble and significant task and you can also perform a very heinous task. This very speech confers blessings on others and also abuses others. That is why Jayadeva considered this tongue as very great. Jayadeva taught the tongue: O tongue full of taste, O sacred tongue, O tongue that speaks sweet words; you should not enter into unwanted speech, you must utter the sweet name of Sri Rama and Sri Govinda that will confer immense happiness on all. When the tongue is put to bad use, it can cause any amount of damage to the heart. There is no doctor in the world who can heal such a wound. 01-What is the Chaaturmaasa Vratam? What is its true purpose and how is it’s practice being distorted these days? 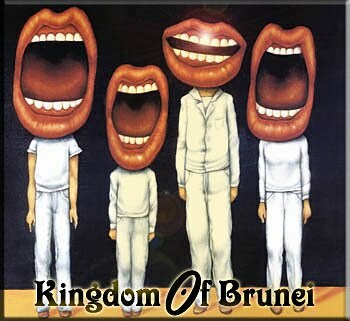 02-What are the four sins committed by the tongue? 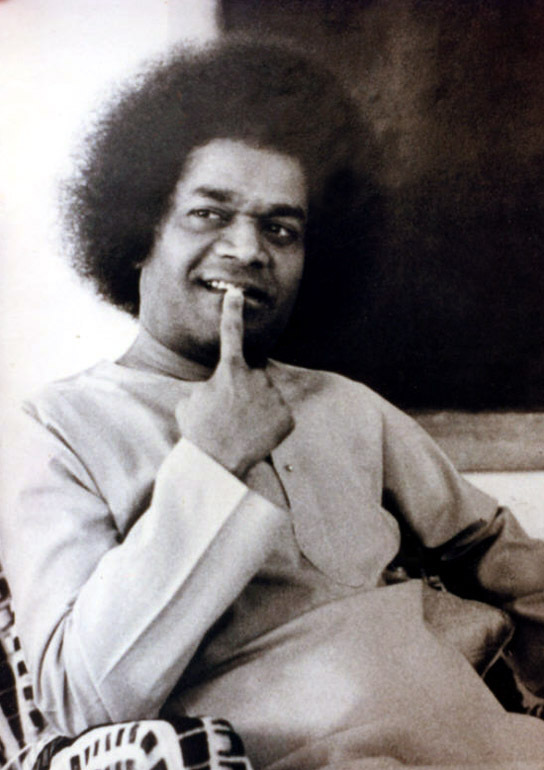 03-What are the examples that Bhagawan gives while condemning undesirable gossip that we engage in? I am very grateful to the Audio Archives of Radio Sai at www.radiosai.org, from where majority of the Discourses of Bhagawan have been downloaded. Some Discourses have been accessed from www.saibabaofindia.com. I am grateful to them for the same. Many of the images used in this blog for illustrative purposes were sourced from the Web. Unfortunately, attribution information is not available for many of them. In case copyright owners have any objection to any of the images appearing on this blog, please contact me using the comments / email.